Mary Roach (my favorite science writer) at Powells, City of Books (my favorite bookstore). Was it just a beautiful dream? Actually, it was a pretty hilarious author event. Mary Roach, famous for her bestseller Stiff, and author of Packing for Mars, is on tour this April to promote her newest book about the human digestive system, Gulp. I was lucky enough to go to the author event last week at Powell’s– or as she told the crowd she had been thinking of it as all day, Bowels. I didn’t know whether to be amused by that or irritated that such a lovely bookstore should receive such an embarrassing moniker. I was very happy to discover that Mary Roach is as entertaining a speaker as she is an author as she regaled us from stories from her newest book. “I am always interested in things other people think are off-putting,” she said at one point, and I feel that statement is one many people can relate to. Or, at least, many geeks. Of course, then I stood in line to get my Mary Roach books signed. 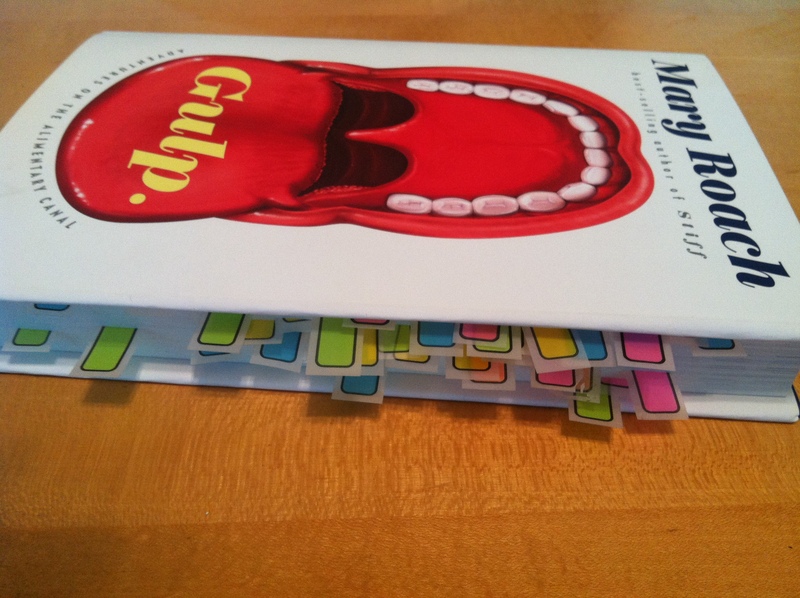 I have no idea what she thought of the copy of Gulp I handed her– I always mark quotes with sticky notes, but her books have more than most. 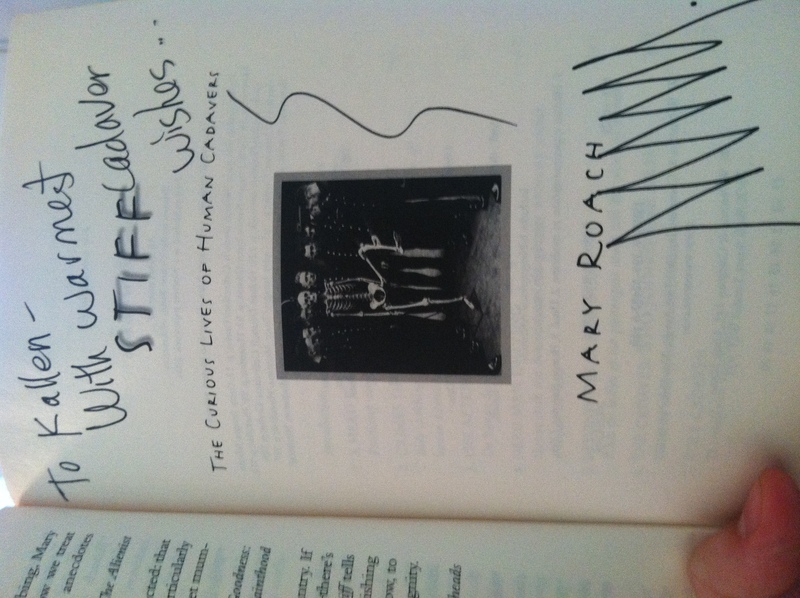 However, I was even happier to get a well-read paperback copy of Stiff signed. I read Stiff; The Curious Lives of Human Cadavers back in 2003 when I was in high school (School of Science and Technology), and until then, I didn’t really realize that there were options (other than being a scientist) for people who liked science. There were plenty of influences that made me choose to major in Journalism, but her hilarious, yet informative writing was definitely an eye-opener. Mary Roach is a writer, but she obviously likes science. The weirder, the better.